It’s the New Year, so it’s time to start committing to those New Year’s resolutions. While many of us may be trying to stay healthier with the help of, say, RunKeeper and FitBit, a few more might want to try their hand at creating the first great app of 2013. But before you give up by mid-February, a new website called Launch This Year promises to keep you on the right track to greatness. Launch This Year is the newest initiative by Ooomf, a young startup focused on app discovery and development. Opening tomorrow at noon EST, the site gives members a personalized step-by-step guide for getting their dream iOS app off the ground. With more than 700,000 apps in the App Store and 35 billion downloads to date, the iron is more than hot for the striking. The site breaks down the process into goals and milestones, offering tools along the way to make sticking with the development process easier. Steps like creating the app’s landing page, devising its organization structure, and even submitting it to the App Store are all outlined in a way that’s accessible and less of a daunting headache, while the Launch This Year team develops a close relationship with their clients by coaching them through the work of getting the app ready and worthy of a few million downloads. Launch This Year has the backing of reputable entrepreneur networks as Startup Weekend, Tech Stars, and the Application Developers Alliance, which have supported the initiative from the start. With the hope of expanding to other platforms, the site could very well do for mobile creators what Codecademies like Code Year have done for the programming at large. Currently in private beta, users will need an invite code to access the toolset the site offers. 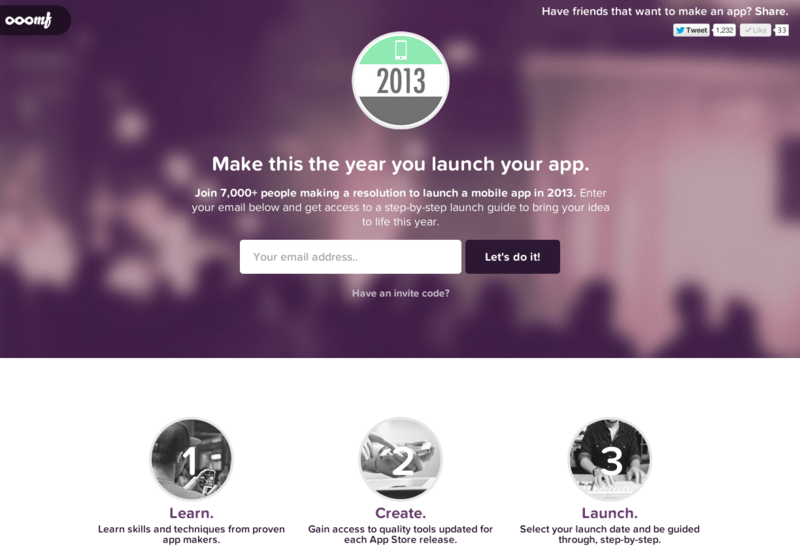 Just type in “digitaltrends” at the Launch This Year site and get started on that app.